Ahhh... fresh flower. While the idea seems green and environmentally friendly, there are much better options. Fresh flowers are usually doused in chemicals to keep away insects. Not to mention the fact that the flowers you choose may not be native to your reception site which means shipping. Translation: contributing to air population and fuel use. So what's a girl to do? 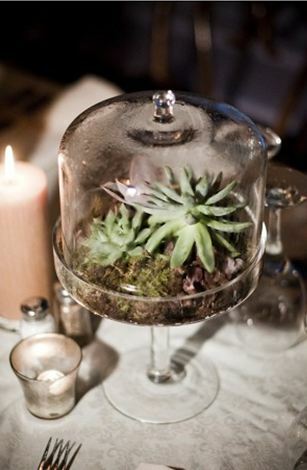 Opt for a terrarium centerpiece. They can be a fun DIY project, they make great home decor (i.e. recycling) and they aren't your run of the mill centerpiece which will remind people of your unique taste. 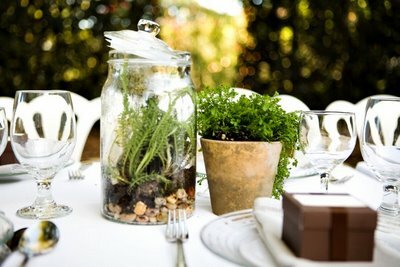 Or choose a potted plant that can be reused in your home or act as favors. Another option? 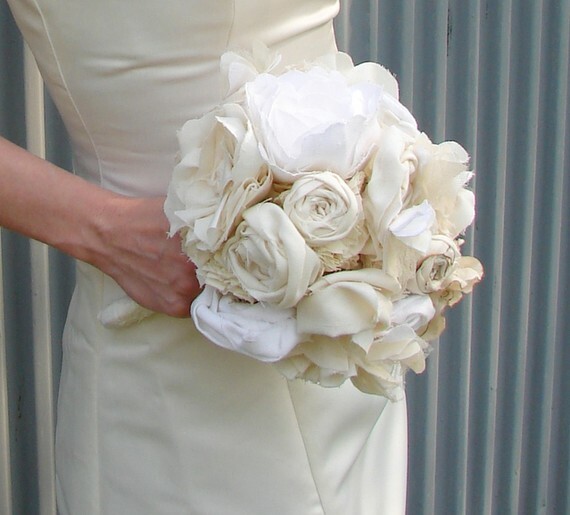 Go non-floral altogether like this board by bride2be via StyleMePretty. 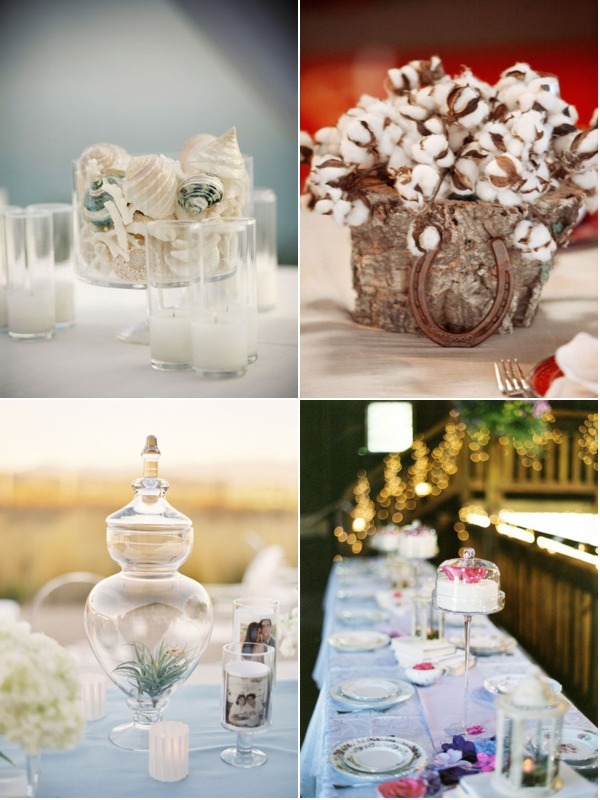 Try shells, cotton, or cakes. Try fabric flowers like this gorgeous one from AutumnArt on Etsy.